Videojournalism is a new field that has grown out of traditional print photojournalism, slideshows that combine sound and pictures, public radio, documentary filmmaking and the best of television news features. This amalgam of traditions has emerged to serve the Internet's voracious appetite for video stories.Videojournalism is written for the new generation of "backpack" journalists. The solo videojournalist must find a riveting story; gain access to charismatic characters who can tell their own tales; shoot candid clips; expertly interview the players; record clear, clean sound; write a script with pizzazz; and, finally, edit the material into a piece worthy of five minutes of a viewer's attention. Videojournalism addresses all of these challenges, and more - never losing sight of the main point: telling a great story. This book, based on extensive interviews with professionals in the field, is for anyone learning how to master the art and craft of telling real short-form stories with words, sound and pictures for the Web or television. 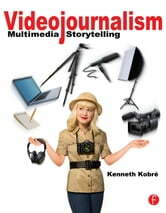 The opening chapters cover the foundations of multimedia storytelling, and the book progresses to the techniques required to shoot professional video, and record high quality sound and market the resulting product. 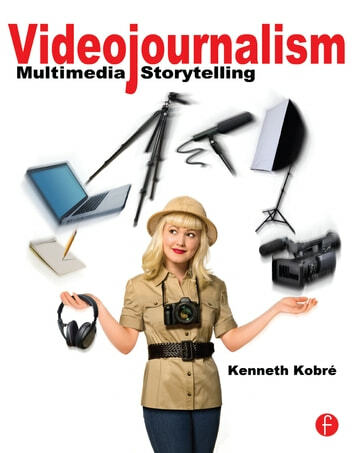 Videojournalism also has its own website - go to just one URL and find all the stories mentioned in the book. You also will find various "how-to videos on the site. To keep up with the latest changes in the field such as new cameras, new books, new stories or editing software, check the site regularly and "like" www.facebook.com/KobreGuide.